Stratton writing themed filled cushion. 43x43cm. A velour design on linen feel background. 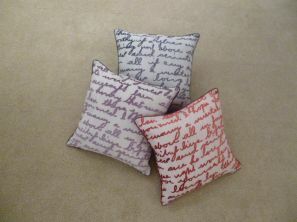 A co-ordinating range of quality soft furnishings designed to offer comfort, variety and inspiration.